The podcast The Writer and the Critic has reviewed both “We See a Different Frontier” and “Long Hidden” in their Episode 39. They discuss “Remembering Turinam” specifically as well. The review was several months ago, but I figured better late than never. My response time to everything outside of work drops to almost zero during the school year! 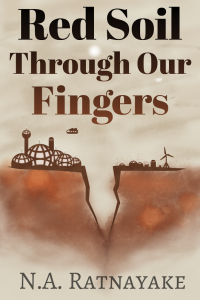 Sandra McDonald’s story Fleet appeared in the post-colonial anthology We See A Different Frontier (along with my short story Remembering Turinam). My story received an honorable mention in the recently released 31st edition of The Year’s Best Science Fiction — Sandra’s went all the way and earned inclusion in its pages. Congratulations Sandra! And I’m honored to have been included in the same anthology with you. How we define, defend and debate gender in the U.S. is fascinating to me, and certainly there are clashes between cultures where gender is rigidly enforced vs where gender variety is protected. For years now i’ve tried to explore those schisms and honor the men and women who live outside the boxes we try to stuff them in. You can check out the whole interview on The Future Fire editor’s blog. There’s a smattering of some Buddhist perspective in there too. Tournevis at the blog Le Pouding à l’arsenic has posted an early review of the colonialism-themed anthology We See a Different Frontier. The anthology will be published this month in both print and electronic versions and includes my first professional sale, a short story called Rembering Turinam. I could laud every single story in the collection, but let me turn the light on two in particular that have stayed with me and even found their way into my dreams. A more powerful exploration of Politics of Memory is found in the incredibly well-written, nearly perfect “Remembering Turinam” by N.A. Ratnayake. Here the scholar Salai walks from his world’s (a future-Earth maybe) equivalent of a university the Heremitian Anushasan, formely [sic] specialized in the exploration of the abstract sciences. He goes to visit his grand-father, a former member of the same Anushasan, now living as a near hermit in his very final days. […] Ratnayake is brilliant in showing the subtleties of Salai’s colonized mind. More importantly, the author displays in all its tragedy the paradoxes of cultural survival in the face of conquest: how only those who choose assimilation can live long enough to ultimately reclaim the culture that has been willfully lost. Wow! I am so happy to hear that others have enjoyed my stories, and that they have found deep personal meaning within them. Nothing like the warm fuzzies as motivation to keep writing!